I remember an interesting discussion with some of my friends and colleagues I had a few years ago on the merits of selling clothes online. While some argued for it, the general consensus was that selling clothes through a website does not make any sense. Clothes, they said, are inherently personal items and people are used to touch, feel and try any clothing item before making a purchase decision. Which side of the fence was I? Well, let me keep that to myself. I think of that evening often and wonder at how far as an industry we have come. That evening the naysayers may well have drowned out the voices of the believers, but we all know today who is having the last laugh, don't we? Today, the online medium as a sales channel has emerged to be a force to reckon with, giving the traditional brick and mortar stores a serious run for their monies. The Indian retail market is a complex market owing to the size and population of India. Different consumptions patterns exist across the country owing to diverse influences, seasonal and other cultural factors. Traditionally the offline model has been prevalent in the Indian market where you had traditional mom and pop stores which we call MBOs – multi brand outlets - which are serviced by a large dealer network across India. These 5000 plus dealers are in turn serviced by large distributors, who are typically appointed region wise or state wise. This model still is very much prevalent in the Indian market as consumers at times favour convenience over distance - for example one may not want to go to a mall or a high street for a brand exclusive store and rather visit the closest neighbourhood MBO for the purchase. EBO’s – exclusive brand outlets - both in malls and high streets have also become very popular over the years as an exclusive store allows a brand to shows its distinct positioning to the consumer as well as offer the complete range of its products. EBO’s also contribute to brand building and brands are able to make exclusive offers and previews to its customer base. The third element of offline is large format stores like Shoppers Stop, Central, Globus, etc. This retail format also attracts high number of footfalls owing to their size and diversity of overall product offerings. But as we all know, e-commerce has truly emerged as a disruptive force to the offline model as e-commerce allows penetration to the remotest part of the country as well as the convenience of making purchases at a click of few buttons. Online also allows brands huge scalability as they need not invest in traditional and expensive bricks and mortar stores. Finally, the explosion in penetration of smartphones in Indian market has also fuelled the rise of the online business. Today, at Alcis, for us to be able to effectively penetrate and reach our target group in 15-35 years old, we are making our products available at both offline and in online platforms. When we started, we made a conscious decision to bifurcate our go-to market strategy in three phases. We started off with the online channel in the beginning, then moved on to large format stores and finally have embarked on opening our exclusive brand stores. Currently, we are present in large format stores such as Shoppers Stop, Central, Globus and Emerge. We are present in most states through the dealer network of MBO’s as well as in organised retail chains such as Sports Station. We are also opening our exclusive brand stores. We have opened our first EBO in Lulu Mall, Kochi and are opening two more next week in Mumbai and Guwahati, soon to be followed by Bengaluru and Mysore. Overall, we have plans to open 30 stores in 2018. Talking about online, we are present at all the leading e-commerce platforms likeJabong, Myntra, Flipkart and Amazon. The essential element here is that there is no fixed formula or recipe regarding the optimum way to make your product reach your customer. 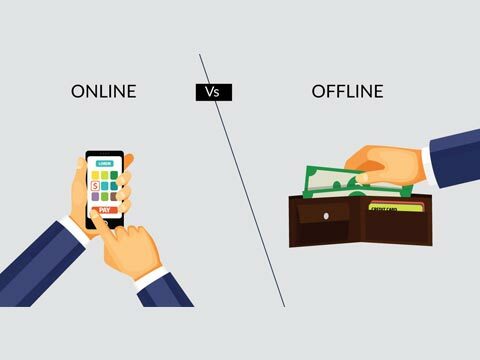 Both the online and offline retail are relevant and important and come with their own pros and cons. In my view, it would be foolhardy to ignore one medium at the cost of other. But at the end of the day, it solely depends on your product and your target audience on which medium to choose and at what level.